Is a career in the British armed forces for you? If you are weighing up a career in the British Army, you are facing a life-changing decision. There are benefits and drawbacks left, right and center, so how to choose? 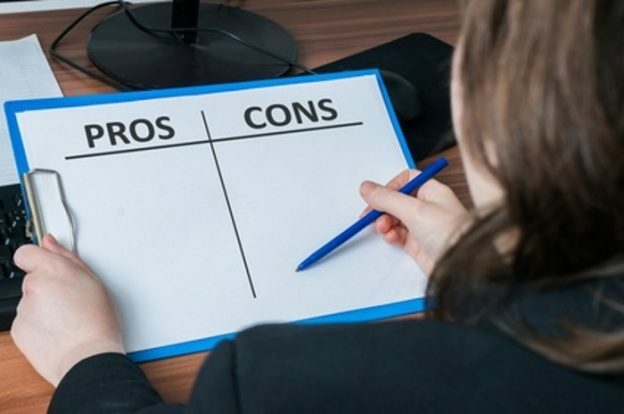 Here we have assembled a cost/benefit analysis that could help you make your choice. In the Army you only get a few days paid leave a year, as a private you get 38 days, as an officer it is 30. Paid leave is excellent, as is the free flight home if you are stationed abroad. 38 days is more than many get in Civvy Street, so it might work out better than your friends. However, if you are stationed abroad, you can miss a lot of your family’s lives. Children grow up so fast, if you are on a 9 month tour with only a few days leave here and there, you are going to miss crucial moments in their development. Even stationed in the UK, you can be away from home for weeks at a time. Many families travel with their soldier or service person, this can be a fantastic way of seeing the world and making friends in faraway places. On the other hand, it is disruptive to the school life of a child. They will get used to leaving friends behind again and again, some find it hard as adults to stay in one place or have close friends as a result. That said, kids can keep in touch with their parents in the Forces with video calling, meaning a parent can read their son or daughter a bedtime story from across the world. This kind of intimacy was never possible before, now it keeps family ties tight and lets relationships grow more naturally. Some spouses find the danger their partner may be in tough to deal with, and while they might be proud of them for doing their duty, they cannot stand the thought of them getting hurt. Combined with extended absences and possible traumatic combat experiences, this has led to many marriages failing. Many do succeed, however, and the spouses of servicemen and women adapt well to the lifestyle. Missing family is hard but with videophones and cheap international calls, it is not as lonely as it used to be. If you have not started your own family yet, it is still worth keeping all this in mind as you probably will want to have a family in the future. Most people in the Army will not actually experience combat during their service. If you want to experience it, the best chances of getting into combat would be to join the SAS or the SBS, bearing in mind you have to be incredibly tough. Nobody knows how they will respond to people trying to kill them, or to killing people; and many do not like the answers. It might look exciting and a chance to prove yourself, but it is also a very good way to die or be crippled, mentally or physically. Free qualifications and experience do not have “cons”. Get qualifications that will make you employable anywhere and experience you cannot get anywhere else. Pay as a private starts at a little under £19,000 and £25,000 but the costs of living are much reduced. Training is paid, food and drink is subsidised, medical treatment is free, lodging is incredibly cheap, there are free flights if you are abroad; basically, living as a soldier is very cheap. They can spend as little as 1/3 of what a civilian spends on living costs while earning a decent wage. A brigadier gets paid in excess of £100,000, but a captain (which you could be by the age of 25) can earn up to £40,000. The money is not as bad as some think it is. With low living costs on the base, providing for a family at home can be easier. It is one of the things that makes up for the time away: the ability to send a lot of money home for your partner and kids. If you are single or do not have kids, you can have substantial savings by the time you are 30. Travel is one of the major appeals of joining the Army; Britain still has bases in most of its ex-colonies and joins in exercises with NATO and the UN, so a recruit to the Army has a good chance of seeing a lot of the world. Unfortunately, this can be after a disaster for humanitarian relief, or to kill the locals in a war. As Private Joker in Full Metal Jacket said: “I wanted to meet interesting and stimulating people of an ancient culture … and kill them.” This is far from the experience of Army recruits, who do more to help people than kill them. The British Army has formed a crucial element in nearly every UN peacekeeping and disaster relief response for the last 60 years while rarely being engaged in actual wars. Being posted abroad can be less romantic than it sounds: you are still stuck on a base 9 days out of 10 and chances to properly experience the culture of a place can be rare unless you are more permanently stationed there. The bases are often quite isolated as well. There are still plenty of opportunities for fun, but do not get too excited. This entry was posted in Army Life on May 8, 2018 by robert77. 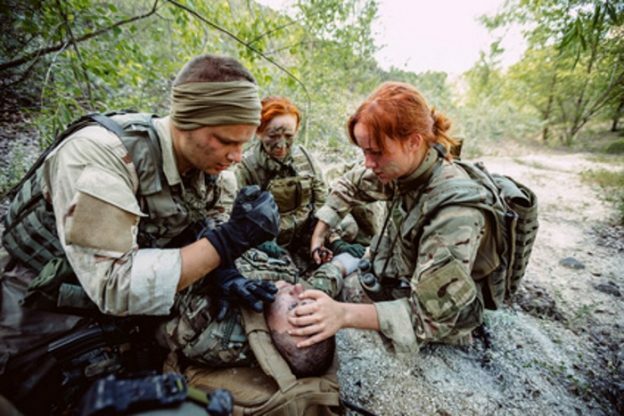 The British Army takes relatively good care of its employees in comparison to most soldiers and service people around the world, having world-class doctors and surgeons treating battlefield and peacetime injuries, excellent rehabilitation services and a much improved psychological care system. This has not always been the case, however, and many people do not know that they can claim compensation for injuries that occurred during their time in the Army. The War Pensions Scheme, or WPS, which covers compensation for the injuries or disablements that were caused by service before the 6th of April 2005. The Criminal Injuries Compensation (Overseas) Scheme, for those who were the victims of crime while serving overseas. If the injury or crime happened on UK, you are protected by the Criminal Injuries Compensation Scheme, just as any other person would be. Veterans UK is the agency that manages compensation schemes on behalf of the Ministry of Defence. If an injury occurs in the line of service, a claim may be automatically considered by Veterans UK, if this has not happened, they can be contacted for advice and action on claims on 0808 1914 218. There is help available with the completion of forms and all submissions should be made on paper. The Armed Forces do not admit fault for any injuries, illnesses or deaths that occur and are claimed for with the AFCS, so death in combat is not their fault, or being shot at. However, if safety equipment was not provided or was inadequate, they can be held liable under UK law. The claimant can submit a claim while still serving in the Armed Forces. All former and current members of the Armed Forces are eligible to submit a claim. This includes reservists. The cut off point for claiming is 7 years after the incident, with the exception of illnesses that did not manifest themselves until a later point. In this case, the claimant has three years from obtaining medical advice to submit their claim. This includes mental disorders and anything malignant or physically disabling that is the result of some part of service. Covered in the scheme is any injury or illness sustained because of the claimant’s service. This can be minor fractures to death. In the case of death, the compensation will be paid out to the family of the victim. The AFCS does not conflict with any private medical insurance, compensation is paid regardless of your private cover. Benefits are paid in two main ways: as a lump sum or as a Guaranteed Income Payment, or GIP. A lump sum can range between £1,236 to £650,000, depending on the severity of the injury and the impact on the claimant. Each injury can be claimed for separately, even from the same incident, and each can be worth up to £650,000. A GIP is a tax-free monthly payment that is index linked and calculated on a number of factors, including the severity of injury and the potential for further work. GIPS are paid from the end of service if claimed during service, or from the date of the successful claim. The criteria for eligibility is complicated but comprehensive, it covers all injury types and severities. Contact Veterans UK for a clearer picture of what the compensation might be. Similar to a pension or disability allowance, the AFIP is available to those who have been seriously injured during their service and is aimed at covering extra costs related to the injuries sustained. Currently, the limit is £145.35 per week. There is no assessment or reassessment. Covering the time before 6th April 2005, the WPS works in much the same way as the AFPS, with compensation paid in a lump sum or as a pension (see above). There is no time limit for WPS claims unless you are a civilian volunteer (3 months), and “any injury or illness that has been made worse by result of service” is eligible for a claim. This scheme is designed to give UK service personnel a comparable level of compensation when overseas to that of the UK. Armed Forces personnel and reservists, cadets and instructors, all can claim for CIC(O) if they have been criminally injured or died overseas, not including death during war. If a person dies in service, their immediate family will be the beneficiaries of any compensation paid, unless specified in a will. Claims need as much detail about an injury as possible: area of an injury, the effect of the injury, where, when and how it occurred or you first noticed it, whether it was in the service, during sporting activities, during combat etc. Corroboration is often needed, so Veterans UK will likely contact the claimant’s GP or practitioner for reports they have made. Claim legislation is regularly updated and amended, be sure to check with the latest legislation on the Government website or get legal advice on armed forces compensation. This entry was posted in Army Life on April 17, 2018 by robert77.